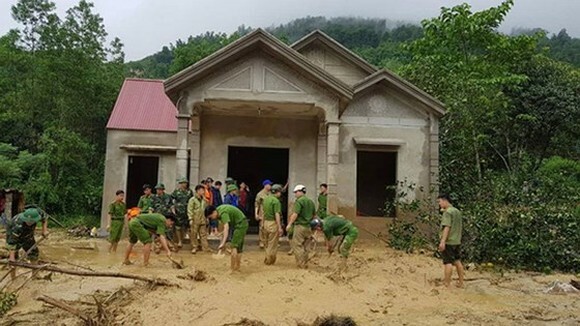 All four members of a family including a four-year-child were swept away while sleeping by floods caused by storm Son Tinh in Thanh Hoa last night. The rescue forces found out the bodies of two victims this early morning and are continuing to search two others. Senior Lieutenant Colonel Ha Thanh Trung, deputy chief of Lang Chanh district police station said that from the evening of July 19, the district police had increased number of rescuers in coordination with other organizations to search for people in rains, evacuate local people to safer places, overcome the consequences caused by the floods in the district. Accordingly, due to the impact of the storm No. 3, Lang Chanh district suffered heavy rains. 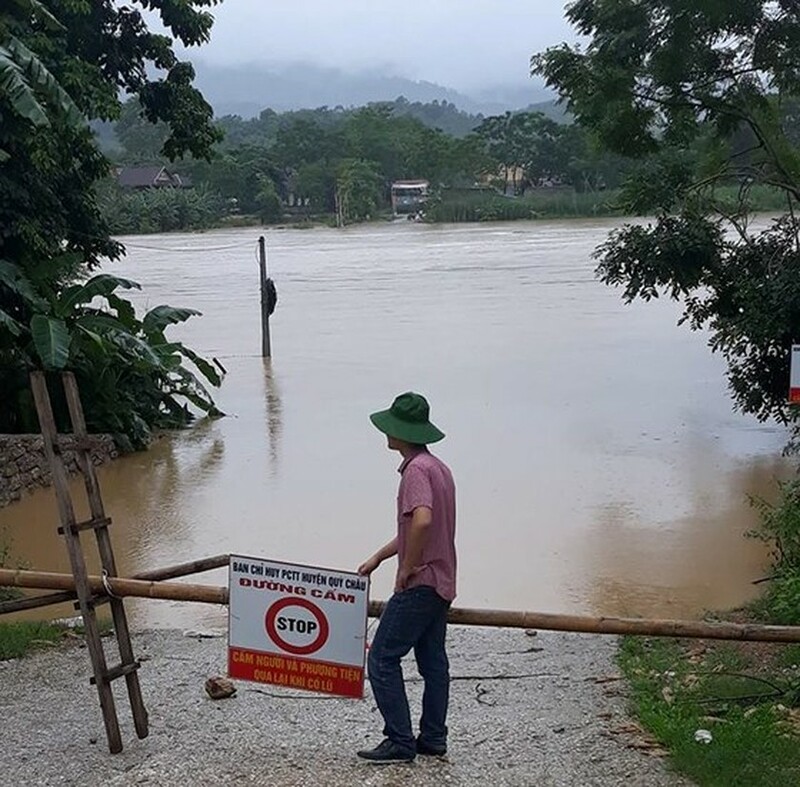 Many communes and towns in the district, roads and bridges from Lang Chanh town to Tam Van, Lam Phu, Yen Thang, Yen Khuong, Giao Thuy and Giao An communes witnessed overflowing rivers and streams together with floods. The floods also washed away 3 houses in Hac village, Tri Nang commune in the evening of July 19. Moreover, the floods also seriously wounded three others who lived in Tri Nang commune. At present, they are being treated at the hospital. Also in Lang Chanh district, because of heavy rains the floods caused nearly 50 households in Trai 2 village (Lang Chanh town) to evacuate urgently.